Santorini and Ios are nearby islands of the south Aegean sea and are frequently connected throughout the year. During the winter months ferries usually operate once per day for 4 or 5 days every week, more often departing in the morning. 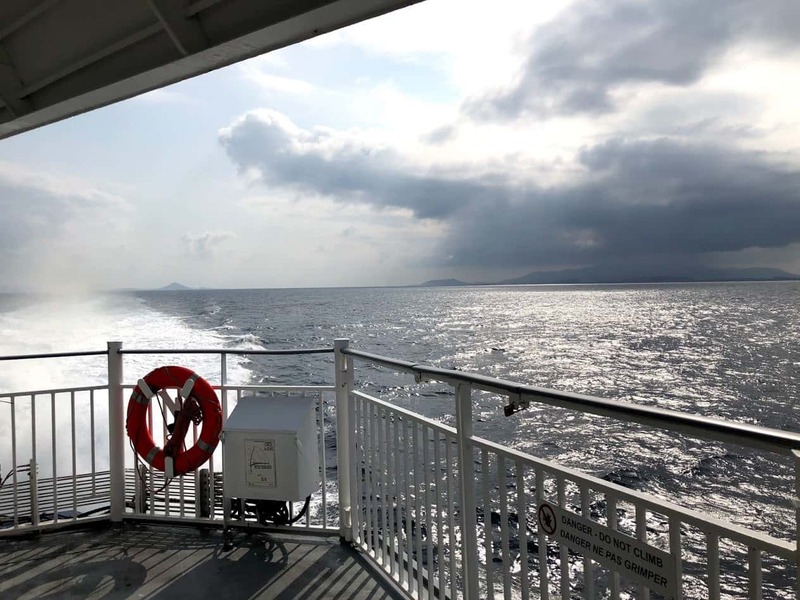 In the summer months (from June to September) there is increased demand in the Cyclades destinations so the number of ferries that connect Santorini to Ios are 5 to 6 per day. The journey duration from Santorini to Ios ranges from 40 minutes to 1 hour 45 minutes depending on the ferry operator. The ticket prices for this ferry journey also vary according to the ferry companies but an indicative pricing for standard economy tickets is from €7 to €40. Search for the different ferry options on ferryhopper.com and book the tickets that best suit your island-hopping plans. How long is the ferry trip from Santorini to Ios? The distance between Santorini and Ios is approximately 45 km (28 miles), so the ferry trip is quite short. Depending on the different ferry operators and the ferry type (conventional ferry or high-speed) the journey can last from 40 minutes to 1 hour and 45 minutes. During low season the ferry connection from Santorini to Ios is frequent, with one ferry operating daily every 4 or 5 days per week. Both Santorini and Ios are popular summer destinations and their close distance makes them ideal for island-hopping. During the summer, there are 5 or 6 ferries per day operating the Santorini to Ios route. If you are travelling from Santorini to Ios during the low season, the options for your journey departure time are slightly limited. In the winter months most ferries depart from Santorini in the morning, usually from 7am until 9am, and only once a week there is an afternoon ferry to Ios. During the summer months, the departure options are very broad, with ferries operating from early in the morning until early in the evening. Indicatively, the first ferry from Santorini to Ios usually departs at 6 am or 7 am and the last one departs at around 20.00 or 21.00. With 5 or 6 ferries travelling from Santorini to Ios every day, you have different departure time options to fit your plans and schedule. The good ferry frequency between the two islands also allows you to enjoy a day trip from Santorini to Ios; to plan your trip check out the ferry schedules and tickets from Ios to Santorini. Although, be sure to check new ferry schedules, as they are changing every year. The port of Santorini gets very crowded during the whole summer season, and multiple ferries arrive or depart throughout the day. You need to be extra careful when calculating your time to reach the port, due to possible traffic. While in the port of Santorini you can ask the port authorities personnel for information regarding your ferry. For more information about the port of Santorini check our blog post Athinios Port. Sometimes when it’s windy, ferry rides can be bumpy. You don’t have to worry! If you feel travel sick you can ask the ferry crew to provide you with an aspirin or an anti-nausea tablet. In the case you would like to take your vehicle from Santorini to Ios it is good to keep in mind that some of the ferries that operate this route are small high speed vessels that don’t carry vehicles. Also, ferry tickets for vehicles sell out quite fast during the summer months so we would suggest to book your tickets as far in advance as possible. If you are going on a daytrip to Ios, we suggest that you rent a vehicle and wander around the island. Ios is a relatively small island, and you can see a lot of beautiful villages and beaches in a day. Be sure to book your ferry tickets 2-3 months in advance, especially if you are travelling during high season. Santorini is one of the best islands in Greece for island-hopping! Discover nearby islands on our Ferry Map and plan your holidays as soon as possible.